Back in December, Loblaw launched its PC Insiders subscription program, a membership program offering free shipping and other perks from the company’s retail locations such as Shoppers Drug Mart, Joe Fresh and more. 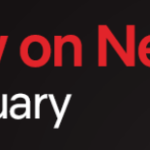 The annual program is priced at $9.99 per month or $99 annually, in what is seen as an Amazon Prime-like subscription program geared towards 16 million PC Optimum members. 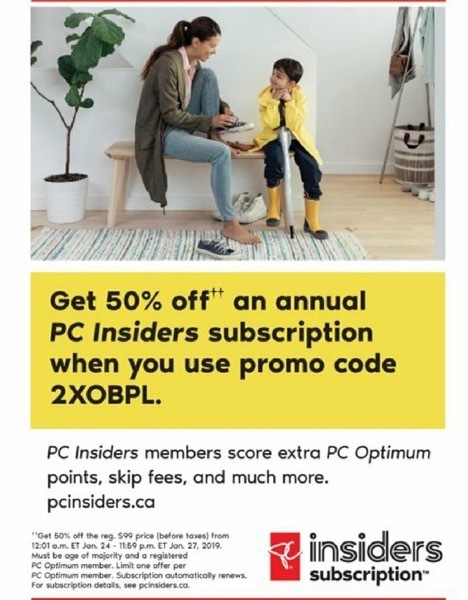 If you’ve been considering joining the PC Insiders program, now may be the time as a new coupon is offering 50% off an annual membership, taking the price down to $49.50 for one year. According to the fine print, the coupon is limited to one offer per PC Optimum member and the subscription automatically renews at expiry. Let us know if you’re going to jump on this tomorrow. Update: This coupon was seen in the No Frills flyer and is currently available now online.